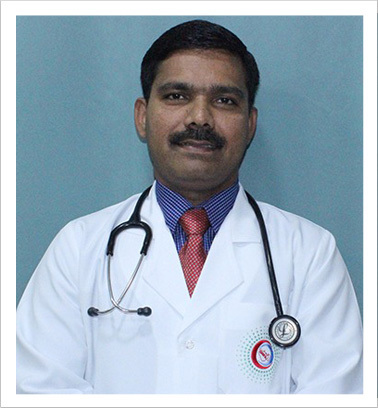 He graduated MBBS from Thanjavur Medical College in 1999 and MD in Community Medicine from Christian Medical College, Vellore in 2006 and having 15 years of clinical experience in General Practice. He has been working in various hospitals as General Practitioner, managing all kinds of patients including Emergency cases. He has special interests in Family Medicine, Primary care on lifestyle diseases including Diabetes, Hypertension and Obesity. He has participated in many of CMEs on current topics. He has presented research paper in scientific conferences and published more than 10 Research articles in national / international journals. He believes in regular learning and keeping updated not only in his field but all related areas and so he is currently pursuing his Ph.D in Public Health. He believes when a patient comes in with an illness rather than only examining and prescribing the required medicine the patient also needs to know about the root cause and also get a good understanding about the basic caution that needs to be taken to further avoid the problem to the maximum.